Private, wooded ap 3.3 acre lot on small lake near I-49 holds this oasis. 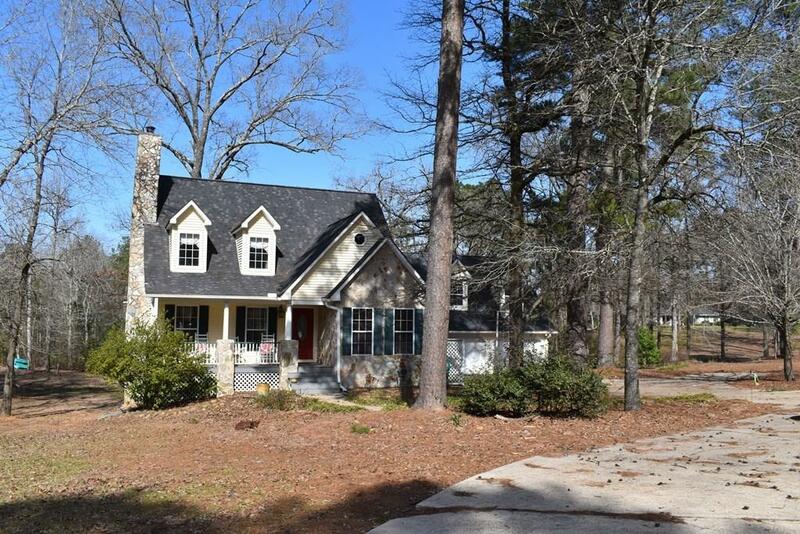 Perfect for growing family with living room, dining room, eat in kitchen, den, office/craft room, kids' play room plus 4 bedrooms, 3 full baths and lots of outdoor space including multiple covered porches. Stunning oak flooring. Living room w 2 story ceiling, gas log fireplace/stone chimney and is open to dining room. Kitchen has granite and Corian counters with island-appliances include stainless gas range, stainless dishwasher, built-in refrigerator, microwave, compactor, buffet counter with small refrigerator and a gorgeous view of water. Den overlooks kitchen. Master has office area, master bath has separate whirlpool tub and shower plus two sinks. Water view from den, kitchen, dining room, master bedroom, and all other bedrooms. Downstairs has two large bedrooms, Jack-and-Jill bathroom with tiled shower, and play room for the kids. Outdoor workshop/2 car attached garage. Lots of warm colors and charm. Directions: Hwy 6 Just West Of I-49, Turn On Old Hwy 6. Second House On Right After Gay Village Road.